Building Community: High Impact Production – Innovative Opportunities… Changing Lives! 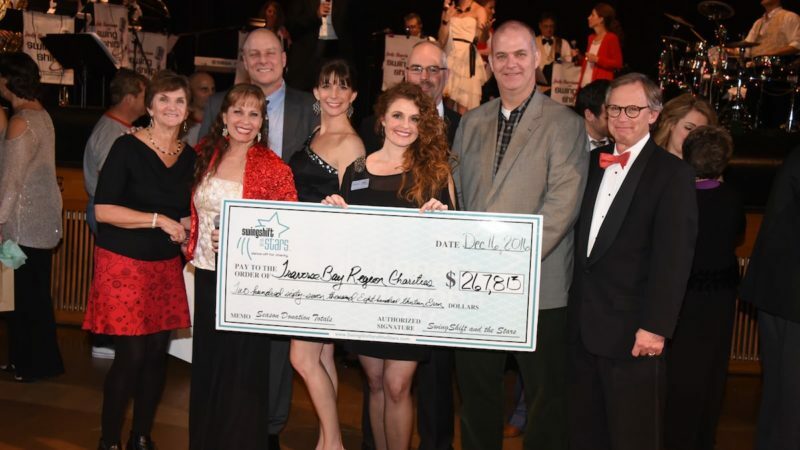 Established in 2008, High Impact Productions (HIP) provides a platform for six nonprofit organizations a year to raise money for their causes through an event called SwingShift and the Stars, a dance competition for “stars” or representatives from Traverse City area businesses. These organizations compete in and ultimately raise support and awareness for the work of their chosen nonprofit by exposing them to a more diverse audience than they would normally connect with on their own. Just for this year, SwingShift and the Stars will feature 24 nonprofits as HIP celebrates their ten-year anniversary. The structure of this event has been thoroughly and thoughtfully crafted, evidenced by the countless ways the experience engages participants and audiences alike. The end product is an increased understanding of local nonprofits that are subsequently empowered to pursue or strengthen programming thanks to the funds generated. Judy Harrison is the founder, owner, and overall mastermind behind HIP, which allows her to combine two areas she’s passionate about: music and philanthropy. Each season begins in August when participants are revealed and introduced to a dance instructor, who helps them prepare. Four performances ensue, one each month between September and December. Harrison sings with the two bands, SwingShift and ReBooted, that accompany each performance, with music ranging from high-energy country to classic rock. She also lends her extensive dance experience to the event, which includes a teaching degree in dance from Indiana University, 12 years’ service as a faculty member at the Interlochen Arts Academy, and international travel as a choreographer. What is perhaps more impressive than her qualifications is the attitude with which Harrison tirelessly leads these endeavors. Events are ticketed and open to the public. Ticket sales and business sponsorships cover the cost of the event, while donations made at the event are funneled directly to the designated charity. In addition to the exposure organizations receive through their participation in the dance-off, HIP also provides video profiles of these nonprofits, which serve as excellent marketing tools for the organizations for years down the line. Furthermore, HIP provides training to these organizations to help them identify unique ways to maintain their success. To continue this important work, HIP has applied to attain their 501 (c)(3) nonprofit status. HIP has provided a platform for SwingShift and the Stars organizations to raise over $2.3 million to date through their participation in Harrison’s program. Additional sponsors are needed to continue HIP’s ongoing efforts and ensure the 2017 season’s success. For information on how to sponsor the work of High Impact Productions, volunteer in the upcoming season, or to apply for your charity’s selection, visit the HIP website.